Three years after he was arrested as a Watergate burglar, Frank Sturgis told Senate investigators he was a CIA agent who would do anything for the agency—even kill. To flaunt his expertise, Sturgis volunteered a grisly “How to Get Away with Murder” tutorial for the committee. 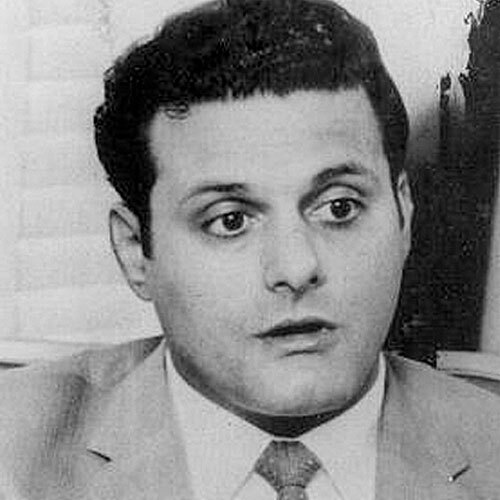 He bragged that his reputation as a hit man led the FBI to grill him as a prime suspect in the assassination of President John F. Kennedy. Best-known as one of President Richard Nixon’s five inept Watergate burglars, Frank Sturgis would undoubtedly prefer to be recalled as a swashbuckling CIA assassination specialist who would gladly bump off anyone for the agency. In fact, in secret 1975 testimony before a Senate committee, Sturgis proudly described himself a “whore” who “would do anything” for the CIA. Sturgis’s boast lies buried in his lengthy, closed-door testimony to a post-Watergate Senate investigation of alleged CIA and FBI crimes and abuses. A bi-partisan committee chaired by Frank Church, an Idaho Democrat, conducted the investigation. Sturgis’s testimony was declassified—but mostly ignored—in the 1990s. Sturgis told the Church committee he agreed to participate in a CIA-sponsored domestic assassination plot sometime in 1961. He claimed not to have known the target, or exactly when a higher-ranking CIA colleague (and also a future Watergate felon), Bernard Barker, recruited him for the hit, which, Sturgis claims, never came off. Sturgis is usually thought of as one of the Watergate Cubans from Miami. 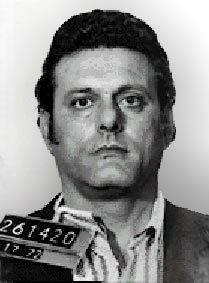 But he was of 100 percent Italian descent and was born Frank Fiorini in Norfolk, Virginia. Later he adopted the surname Sturgis from his stepfather, Ralph Stugis. He did not even speak Spanish, but was able to communicate fairly well with his Cuban exile pals because of his fluency in Italian. He played key roles in 1960 CIA/Mafia plots overseen by Vice President Nixon against the life of Cuban leader Fidel Castro. As the Bay of Pigs veteran told Church committee investigators, he had also trained a number of would-be assassins for CIA plots against other foreign leaders. The committee was probably aware that Sturgis consorted with Mafia bosses. 2 His Mob activities were not deeply explored, though, because the committee’s central focus was on possible lawbreaking by the CIA and the FBI. Sturgis’s idol and ultimate CIA boss, E. Howard Hunt, had a similar attitude, once declaring: "I had always assumed, working for the CIA for so many years, that anything the White House wanted done was the law of the land." 3 Hunt went on to recruit, train and supervise Sturgis and Barker as part of the Nixon White House burglary team that got caught by police after breaking into Democratic headquarters at the Watergate complex in Washington on June 17, 1972. Hunt was a perfect undercover agent: inconspicuous—but articulate, personable and convincingly dishonest. His Ivy League suits usual hid a holstered pistol. Nonetheless, even habitual liars sometimes tell the truth. With the benefit of new disclosures, at least some parts of Sturgis’s Church committee testimony from April 3 and 4, 1975 now seem to contain at least a kernel or two of credibility. Sturgis’s pride in being grilled as a suspect the day after the JFK assassination is quite provocative. “I had FBI agents all over my house (in Miami). They told me I was the one person they felt had the capabilities to do it. 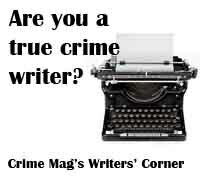 They said, ‘Frank, if there’s anybody capable of killing the President of the United States, you’re the guy who can do it.’” Why would he implicate himself, in even a tangential way, in the Kennedy assassination? And what just did the Feds know about Sturgis that sent them scurrying to Miami to question him? Some JFK assassination researchers are convinced that Hunt, Sturgis and Barker were in Dallas that pivotal day in U.S. history. In a deathbed confession, Hunt claimed that he was in on the Dallas plot (but only as a “benchwarmer”). He identified Sturgis and a number of other CIA personnel as collaborators. At a 1985 libel trial involving Hunt's possible links to the JFK assassination, however, CIA operative Marita Lorenz—a former Castro mistress and a friend of Sturgis—placed Sturgis, as well as Hunt and Jack Ruby, at a Dallas CIA "safe house" the night before the assassination. The jury ruled in favor of Spotlight, a right-wing newsletter that had implicated Hunt in the assassination. One of the most intriguing mysteries of the JFK assassination is the great likeness between Hunt and one of the “Three Tramps” photographed near Dealey Plaza in the aftermath of the assassination. Hunt was a renowned master of disguise (during Watergate, the CIA gave him several appearance – and even gait-changing devices). Is the short hobo decked out in what appears to be a circus clown costume Howard Hunt? The House assassination committee—a successor to the Church panel—looked into the short hobo and concluded: “Tramp C, from his battered fedora to his worn-out shoes, has managed to achieve a sartorial effect similar to what one would expect had he been fired from a cannon through a Salvation Army thrift shop.” The committee conceded the outfit could have been a disguise. In the Nixon White House, Hunt—often with help from his anti-Castro group—engineered, or at least plotted, myriad “dirty tricks” that went far beyond the criminality of Watergate. These included an alleged plot (confirmed by both Hunt and fellow Watergate felon, G. Gordon Liddy) to kill columnist Jack Anderson, a plan that was canceled at the last minute. Hunt filed for bankruptcy protection in June 1995. He died at a Miami hospital after a long bout with pneumonia in 2007. The Bay of Pigs, hey, was one sweet mess. 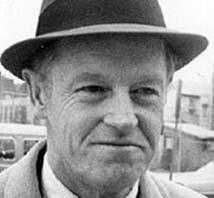 I met Howard Hunt that year (1961); he was the political officer for of the exile brigade. Bernard Barker was Hunt’s right-hand man, his confidential clerk—his body servant really; that’s how I met Barker. Sturgis later vigorously denied saying those things—which conflicted with earlier contentions by Sturgis and Hunt that they did not meet until the Watergate era. A chain-smoker, Sturgis was 58 when died of lung and kidney cancer. As for Barker, JFK assassination witness Seymour Weitzman identified “Macho” as the man on Dallas’s grassy knoll who posed as a Secret Service agent and kept people out of the area. 8 And, believe it or not,Barker was also a close friend of his Key Biscayne, Fla. neighbor Bebe Rebozo—President Nixon’s best friend. Barker died of lung cancer and heart problems in 2009. He was 92. Perhaps the only way to determine the answers to this, and to the bigger question—“Who Killed JFK and Why? —is to set up a modern-day Church committee. The original committee found a stunning array of CIA abuses—above all, attempts to assassinate foreign leaders, including Castro. It found that the agency enlisted the aid of the Mafia in its assassination plots against the Cuban leader. The committee took public and private testimony from hundreds of witnesses, collected huge volumes of files from federal intelligence-gathering agencies, and issued 14 reports in 1975 and 1976. Since the passage of the JFK Assassination Records Collection Act in 1992, over 50,000 pages of Church committee records have been declassified and made available to the public. As a result of pressure from the Church committee, President Gerald Ford issued an executive order that banned U.S.-sanctioned assassinations of foreign leaders. 1. Gaeton Fonzi, The Last Investigation, page 76. 2. According to a memo sent by L. Patrick Gray, Director of the FBI, to H. L. Haldeman in 1972: "Sources in Miami say he (Sturgis) is now associated with organized crime activities". In his book, Assassination of JFK (1977), Bernard Fensterwald claims that Sturgis was heavily involved with the Mafia, particularly with the criminal activities of Santos Trafficante and Meyer Lansky in Florida. (These citations are found on the Education Forum Web site.) 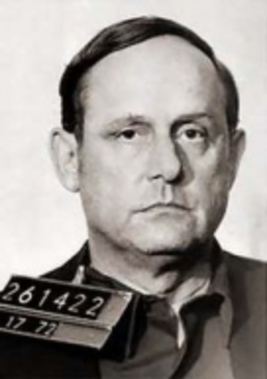 In Mafia Kingfish, Mob expert John Davis reports that both Sturgis and Barker “were closely associated with organized crime, and especially with associates of (New Orleans boss) Carlos Marcello’s, Meyer Lansky and Santos Trafficante.” Page 402. 3. Rolling Stone, “The Last Confessions of E. Howard Hunt,” April 2, 2007. 8. Encyclopedia of the JFK Assassination, Michael Benson, page 23. 11. Holt interview with the Star-Ledger, a Newark area newspaper, July 15, 2009.